This week has been relatively calm as there are no formal negotiations, although the EU is releasing further updated position papers on issues including Ireland today, and attention in Brussels has been focused on the final stages of the German elections, including Sunday’s TV debate between Chancellor Merkel and her opponent from the Social Democrats, Martin Schulz, a former MEP familiar to many of us here. The TV debate did not provide the paradigm shift Schulz needed and Angela Merkel looks very likely to remain Chancellor after the election. The only real question is whether she will be forced into another grand coalition with the Social Democrats or whether she can do a deal with either the Liberals or the Greens. Once the election is done her hand may be freer to offer flexibility in the Brexit negotiations, but paradoxically another election victory will suggest strong support, in Germany at least, for her current position on European issues. It seems difficult at the moment to see how negotiations can move from the first phase (discussing the divorce package of citizens’ rights, Ireland and the budget) to the second phase of future trading arrangements. The first is of key importance for the EU, the second for the UK. There seems little room for manoeuvre right now, particularly because the EU Commission is bound by the negotiation position agreed by the European Council earlier this year and so Michel Barnier is not really able to negotiate away from that position. It is not so much a negotiating brief as a series of demands to be met. 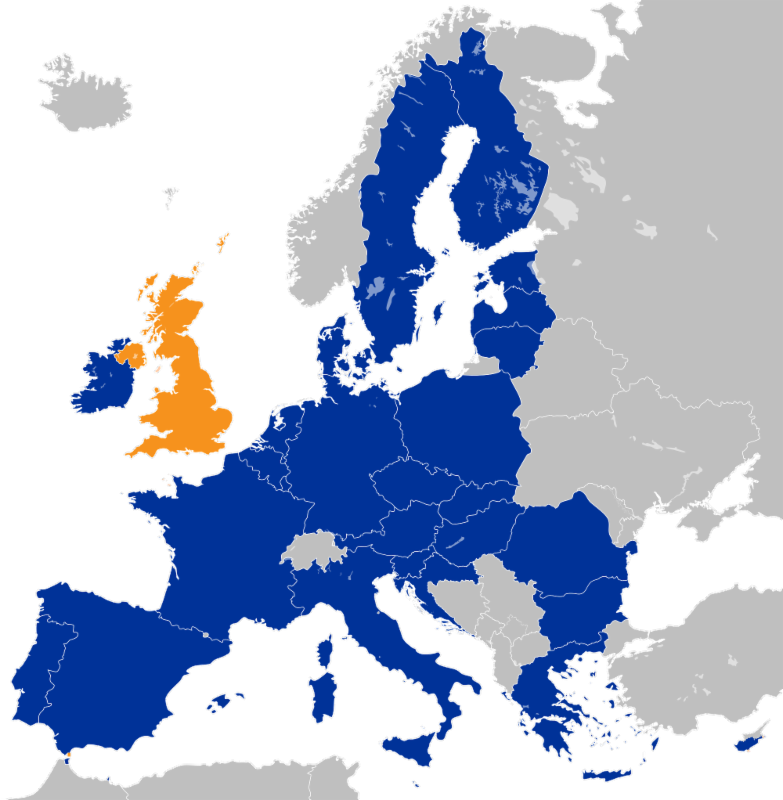 That EU27 position demands that the UK agrees to a significant payment to settle its ‘debt’, agrees citizens’ rights for EU citizens in the UK and agrees to ensure that the Irish border problem is resolved. On the ‘Divorce Bill’ the UK have agreed that some payment will be needed to cover the financial commitments that the UK has made which go beyond 2019, but the two sides are far apart on the figure. The EU is demanding as much as €100 billion, nearly double the total yearly UK defence spending. Part of the problem last week was that the EU has not given a clear breakdown of how that bill is calculated, making it impossible for the UK to agree to any budgetary demand, even in principle. On citizens’ rights the two sides are closer, the UK has recently agreed to guarantee the right for EU citizens to stay in the UK, as long as they apply for settled status in the UK. However, as many have already applied for permanent residence, they will have to apply again for the new status. The leaked immigration paper from the Home Office this week will not ease Brussels mistrust of the UK position on this sensitive area. From the UK side, the proposed EU solution gives UK citizens in the EU fewer rights than EU citizens have in the UK, UK citizens will only be able to stay in the country they currently reside, not the whole EU. To some eyes the EU proposals would also give EU citizens in the UK greater protections than British citizens enjoy in their own country, which could never be acceptable to a British government. In addition there is no agreement yet on a variety of other difficult issues like pensions. However one success last week was on healthcare. The two sides agreed that UK citizens living in the EU could continue to use the EHIC card and with further negotiations, there is renewed confidence that most of the citizens’ rights issues can be resolved in time. The Ireland issue is even more complex because it cannot be solved until the future trading relations between the EU & UK are agreed. Only then can the border issues be properly resolved. Even Commission President Juncker appeared to acknowledge this in remarks in Italy over the weekend, although leaks of the Commission new position paper this week appeared to quash that. However there were positive signs that the Commission now recognises that the Ireland question is totally unique and a meeting of minds with the UK that border infrastructure being put in place is a political impossibility. Herein lies the big problem with these negotiations. The EU is bound by technocratic and bureaucratic approaches to the negotiations, and that makes it difficult to be flexible, something which is required in any negotiation. The politics, which will eventually trump the bureaucratic approach, has to take a back seat for now. Future trading relationship discussions remain stalled until the issues above have been resolved, which is intensely frustrating for the UK negotiators, and on areas such as Ireland not practicable. In trading terms the UK is looking for a free trade deal, but one which goes way beyond the normal terms of a free trade deal. We only have 18 months to go until we leave the EU, and we still have not started negotiations on this complex future relationship, so it is looking more and more likely that these negotiations will mostly end up focusing on a transitional deal, with the future trading relationship to be fleshed out in more detail after March 2019. However, in EU negotiations things often stall for months, and it can look like a deal is impossible. Yet at the final moment, normally in the early hours of the morning, a deal appears out of nowhere and the worst is averted. So history shows this is still the most likely scenario.